Jim Rohn said, “Only by giving are you able to receive even more than you already have.” I love giving gifts and I truly believe that as you give abundantly, you make space to receive abundantly too. Mindset and self-care are two passions of mine. Over the last few years, I’ve realized, that as I come across or create wellness resources, I want to share it with others too. A while back, I wrote an ebook entitled, ‘Mompreneurs Guide to Self-care‘. It encourages other mompreneurs to celebrate their WINs, seek balance and strive for more self-care in their lives. I want to share this ebook with you in the hopes that something written in the pages will help you see that it’s ok to take better care of your mind, body and soul. 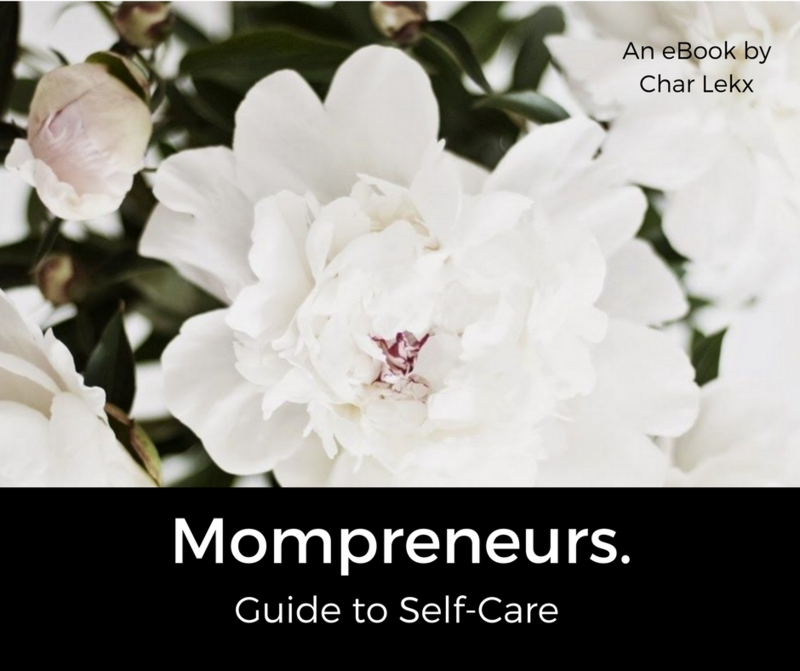 Months later, I decided to revisit ‘Mompreneurs Guide to Self-care‘, but this time I knew I wanted to include all moms. As someone who’s been a stay-at-home mom, a mom working for someone else and now an entrepreneurial mom, I know the struggle is real for all of us. You feel like you’ve got to do it all and be it all. It’s hard work and often you feel under-appreciated, overwhelmed and consumed by mommy guilt. This self-care for busy moms ebook offers simple tips to help you incorporate self-care into your daily routine and reminds you to give yourself some grace girlfriend. This book is dedicated to all of you amazing moms out there. Remember, you deserve good things too. Looking for more self-care resources? Check out my website: Char Lekx – Renew You! I’ve got lots of freebies and other resources just waiting there for you.